Consignment shops and lots more.... I'm happy to answer any questions you have. "Scarsdale - not just for the residents!" Never having resided in Scarsdale, I write as someone who has truly enjoyed the programs available to me and everyone.. That being the Scarsdale Adult School - I can recall signing up for a great class on South Western Art many years ago, volunteering to organize a luncheon thereafter, and then found myself on the Advisory Board Committee for the Adult School the following year! It was a wonderful experience, and I truly enjoyed being on the Board of Trustees for the Adult School too. 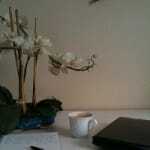 I enjoyed some great art, literature, cooking and floral arrangement classes there too! 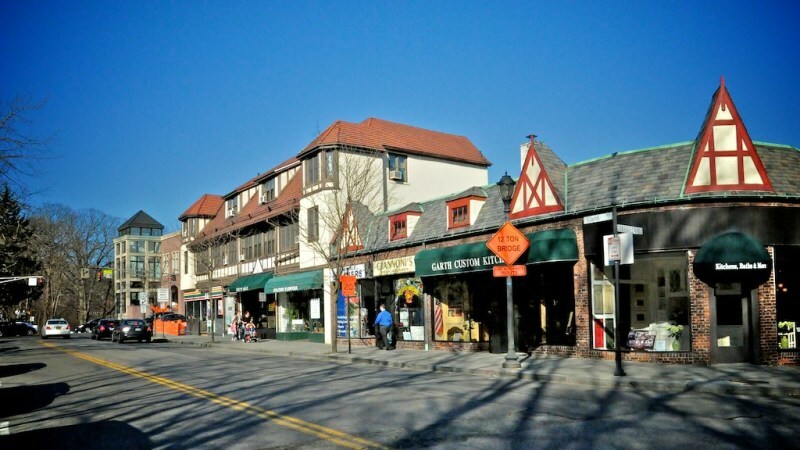 I really like Scarsdale Village as there is a nice selection of restaurants, Zachy's Wine & Liquor Store, and some very cute stores.. but making the village most attractive are the Tudor style buildings, all uniformly presented which is lacking in some of the other nearby towns. 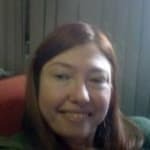 There are the Chase Park summer concerts, and also the Scarsdale Art Society also has outdoor shows and sales there too.. When my children were younger, and we would visit our Scarsdale freinds, I was always envious of the Scarsdale Pool (4 pools actually), which was always more like a little country club, located near the stables, and across the street from a baseball field and some tennis courts ....Scarsdale of course is known for its fine homes and schools, and its close proximity to New York City. It is rather like Larchmont in home prices but has no waterfront! 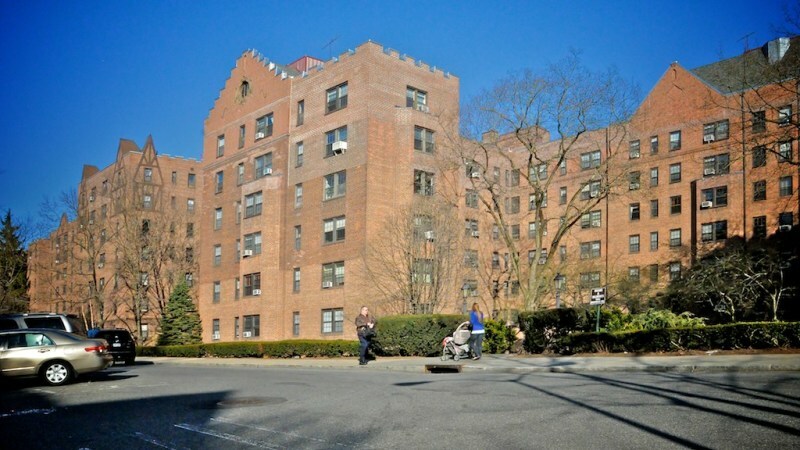 Scarsdale is close to Hartsdale, White Plains ,Eastchester and Ardsley - depending upon which direction you choose! 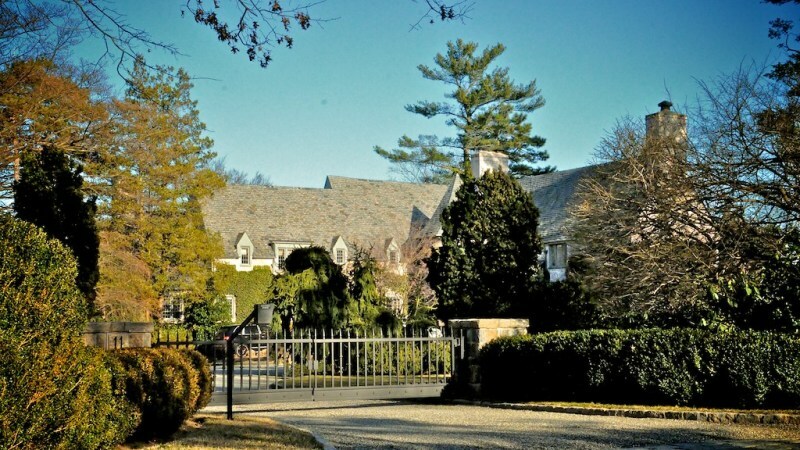 Many famous people have lived in Scarsdale - and it features its own little newspaper - The Scarsdale Inquirer. There are 5 Elementary Schools, Edgewood, Heathcote, Quaker Ridge, Fox Meadow and Greenacres. 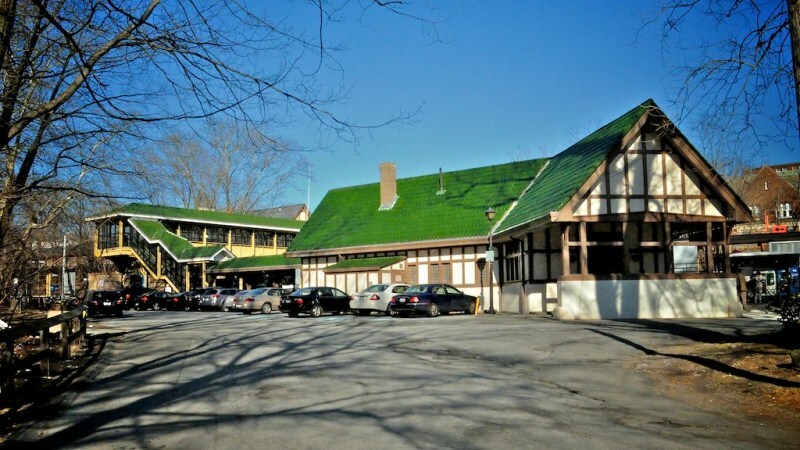 http://www.scarsdaleschools.org/site/default.aspx?PageID=1 Scarsdale is located close to the White Plains Hospital, and has easy access to public transportation. The train station is located directly within the village with the requisite number of coffee shops nearby! Parking can be a problem. 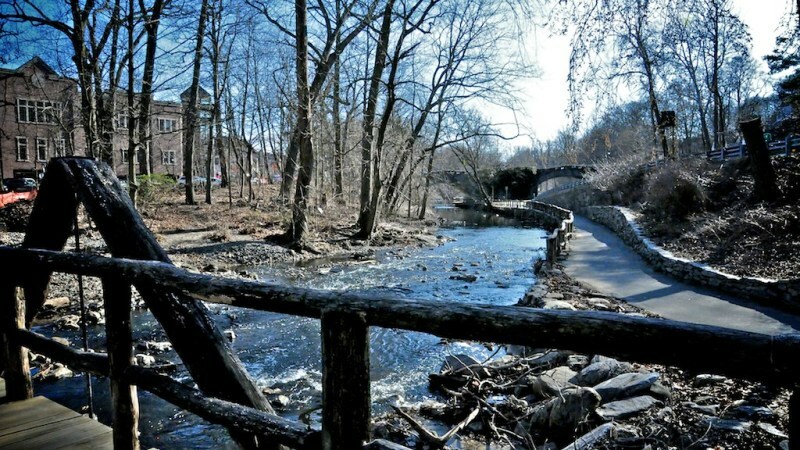 Scarsdale is an exclusive Westchester town bordered by the Bronx River Parkway and the Hutchinson River Parkway. Located 25 miles from midtown Manhattan, it has a population of about 17,000 people. 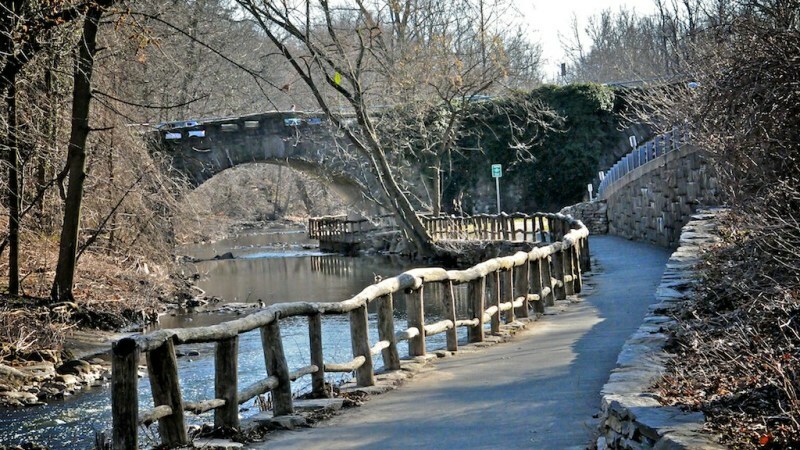 The town’s name gives a nod to the area’s early colonial roots; Caleb Heathcote, a one-time Mayor of New York City, named the initial 6,000 acre parcel “Scarsdale” after his ancestral home in England. The town has its own Metro-North station; travel time during rush hour is a little over thirty minutes. 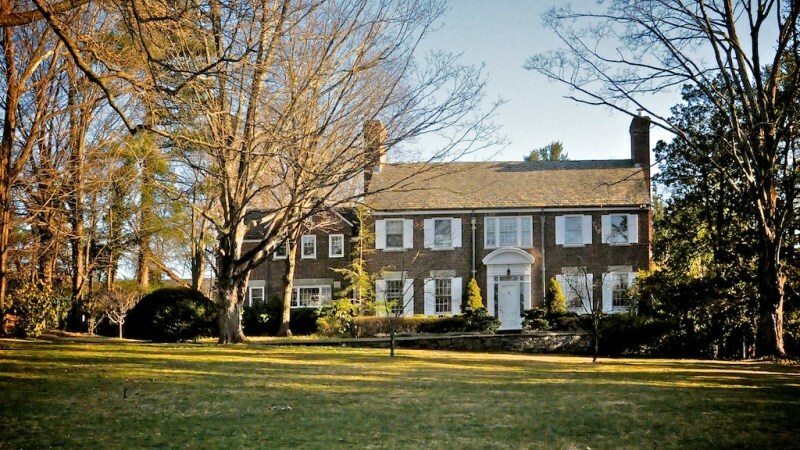 Like most of Westchester’s upscale communities, Scarsdale is known for its outstanding school district. There are five elementary schools, a middle school and a high school. 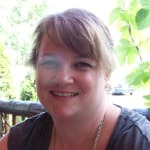 In this time of heavy emphasis on standardized testing, the district manages to exceed standards while fostering an atmosphere of collaboration and working towards a greater good. The district’s motto is non sibi, or “not for ourselves alone” and value giving the students opportunities to serve the community. 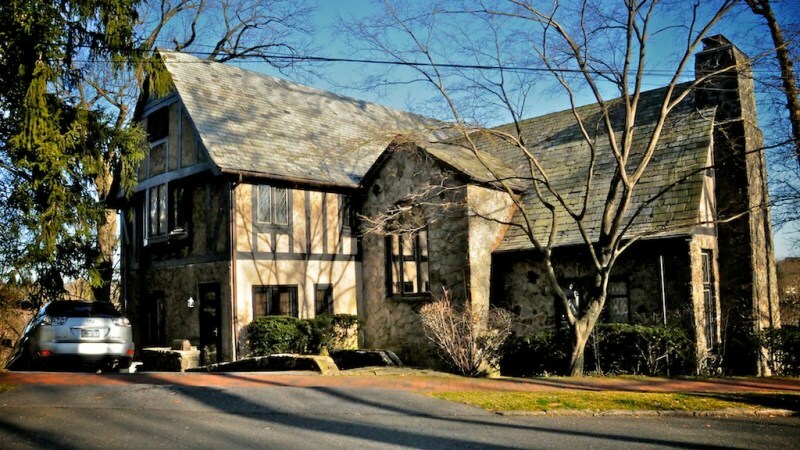 Scarsdale has robust commercial activity. 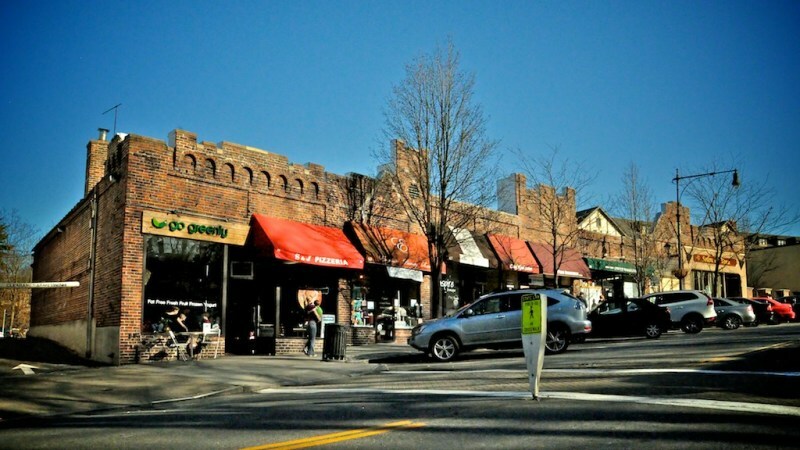 Unlike much of Westchester, Scarsdale has a substantial selection of shopping options in the town. 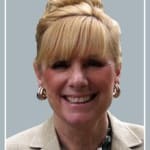 Residents of other towns may need to travel to a neighboring town to find a grocery store, but this is not true of Scarsdale. There is a large ShopRite, along with two smaller specialty groceries, Trader Joe’s and DeCicco’s. 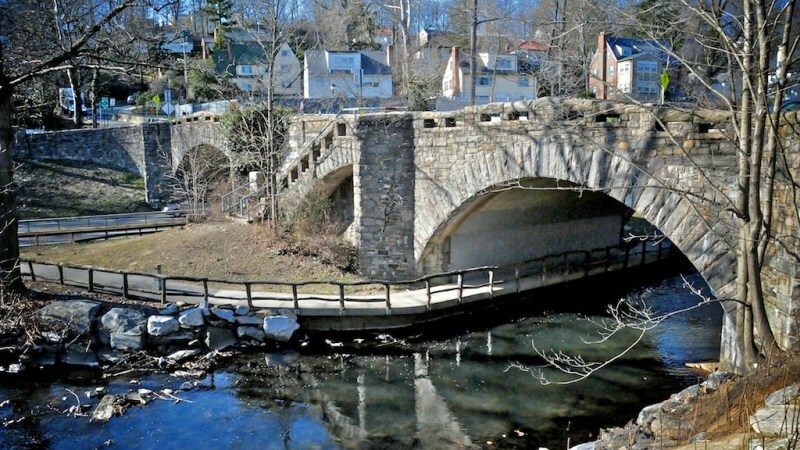 There are ten neighborhood parks, overseen by the Recreation Department. The department also maintains pools, tennis courts and playing fields for residents. 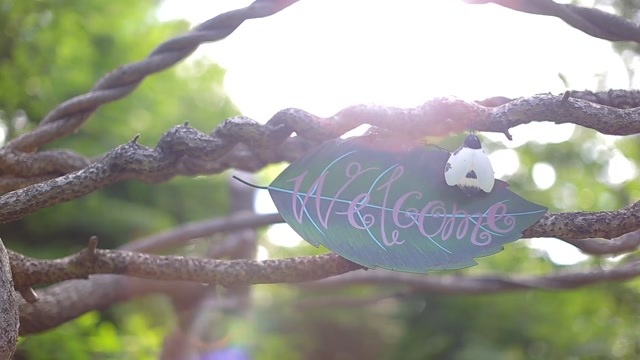 The Weinberg Nature Center, which is also part of the Recreation Department, includes a ten-acre wildlife sanctuary, hiking trails and a nature museum. During the summer, day camps are available for kids; additional programs for residents of all ages are sponsored year-round. 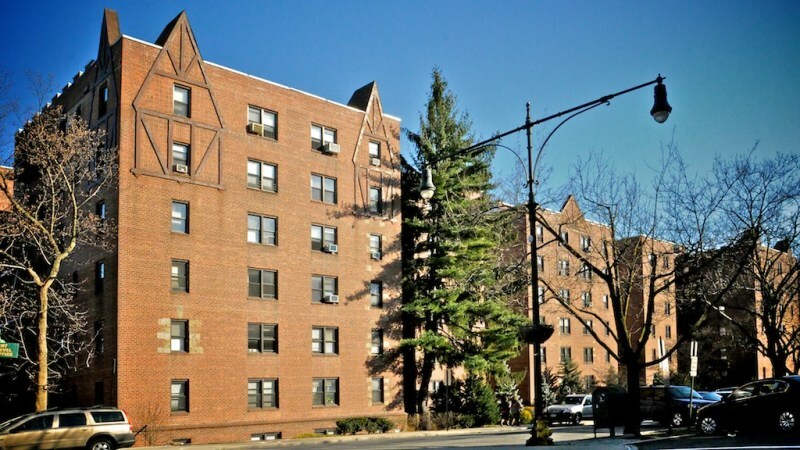 Cooperative apartments are plentiful in Scarsdale, providing an affordable option for people who want to live in Scarsdale but can’t currently afford or aren’t ready to purchase a single-family home. There seems to be a large inventory of one-bedroom apartments, making the town a great option for singles or couples without children. 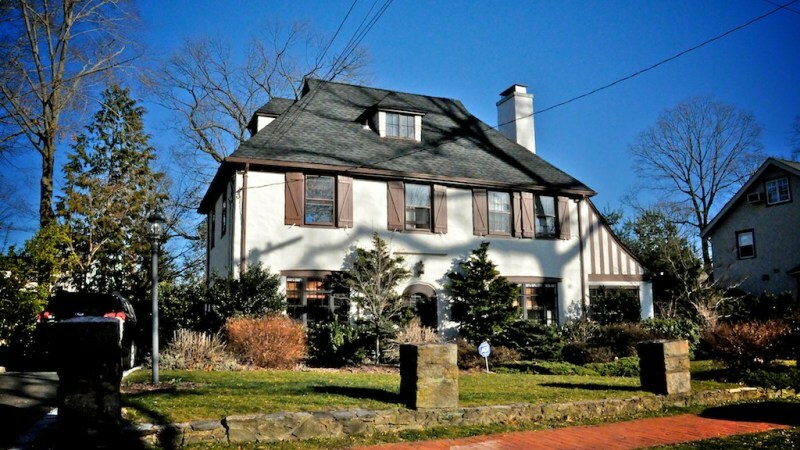 Currently, Scarsdale is one of the few areas where the median home price has been on the rise. 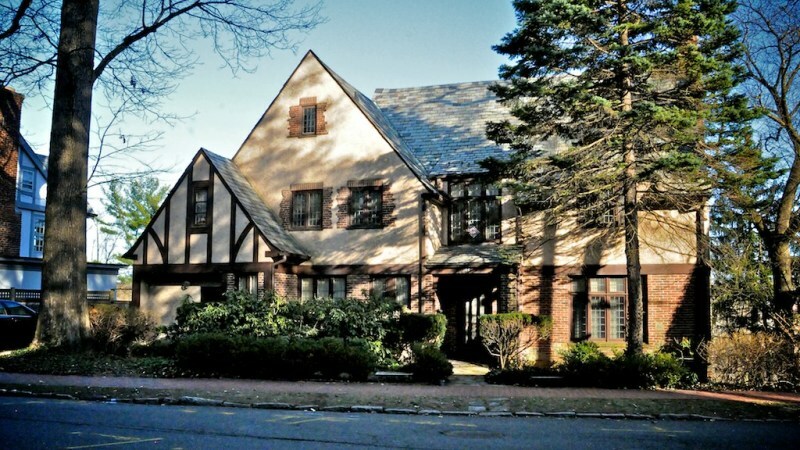 "An Upscale Town Well Worth the Price"
Scarsdale is one of the most upscale towns of Westchester County, with a median sales price of $1.2 million. (You might get lucky and find a co-op for $200,000 or above; some condos in the neighborhood of Heathcote cost between $600,000 and $700,000.) 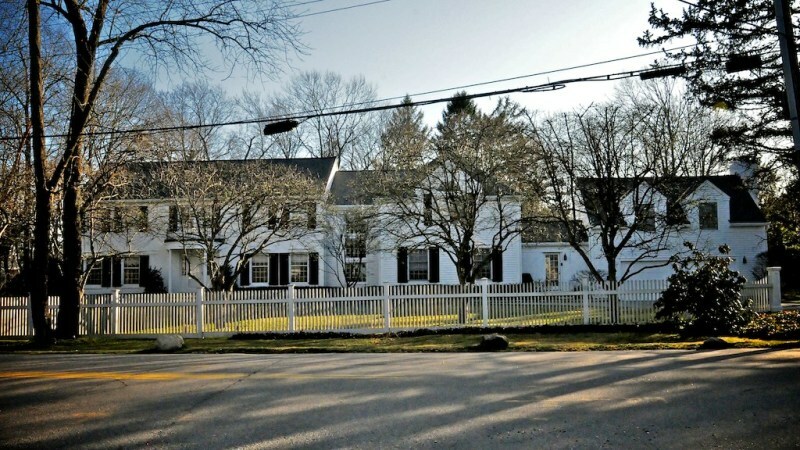 The homes are all very fancy colonial and medieval-style Tudor homes, giving them an elegant, old-fashioned flare. It’s a mix of typical suburban and rural, with its own train station---promising about an only 30 minute ride to Manhattan, as well as cheaper tickets. Schools in Scarsdale are highly competitive, but extremely worth the hard-driving education, as stats are way above the national average. While they may put added pressure on students, you can expect that they will come out with excellent results, and go on to receive higher education after graduating. There’s five neighborhoods in Scarsdale and each neighborhood has its own elementary school, named after itself. The schools have added advanced topic classes to its curriculum; visual arts being a prime example. The shopping district of Scarsdale is as quaint as the town itself, with stores like Breeder’s Pick, where you can find your own little furry puppy friend, carefully chosen by top breeders---or the Lulu Cake Boutique, where you can customize for a birthday or celebration bash, or enjoy a treat from their delicious bakery. There’s also the typical stores like Trader Joe’s health food store and a Staples, as well as Lord & Taylor’s for high-end clothes shopping. There’s two parks in town: Aspen and Chase. Aspen also has a wonderful playground for the kiddies. Scarsdale has a great night life. Visit Casa Maya, the 808 Bistro, pr the Spotlight Cafe (the Cafe has live music every Wednesday night between 7 and 10 pm). There’s TGI Fridays and California Pizza for a great night out with the family. Take your lover to the Moscato Italian Restorante or the Candlelight Inn. 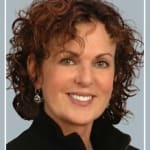 No matter what you have in mind for a great night out, Scarsdale has it---the only thing it doesn’t have is a movie theater, but there’s nearby White Plains and Yonkers to make up for that, as well as lots of other shopping choices in those areas. Aside from Trader Joe’s, Scarsdale has lots of other grocery stores to choose from: a Shop Rite, Balducci’s gourmet Food Lover’s Market, or Decicco Family Market. While the cost of living with home prices and taxes is one of the most highest in the country, Scarsdale is worth it for the school system and its high-quality restaurants. It’s a great place for commuters who want to be near cities (White Plains and NYC). Most places will need a car to get from here to there. 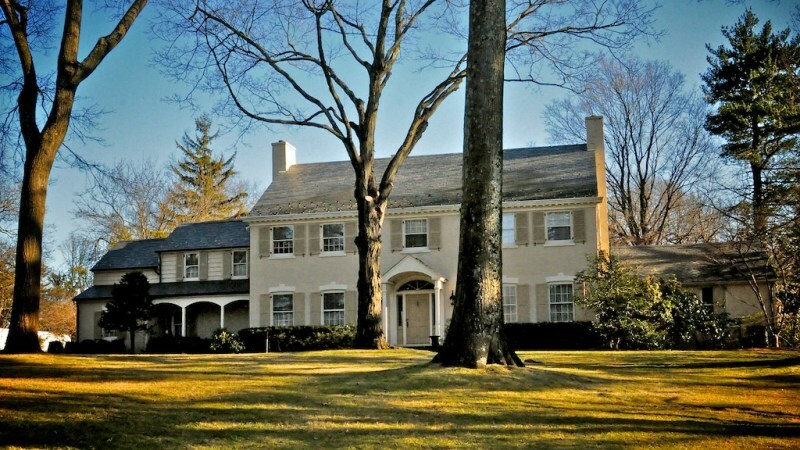 There is still an old house in Scarsdale that was the home of British Commander William Howe. The area was the location of one of the many battles during the Revolutionary War. Scarsdale is a town and a village managed by the village government. It is a sought-after address with many glamorous houses and is home to many financial services professionals and artists. 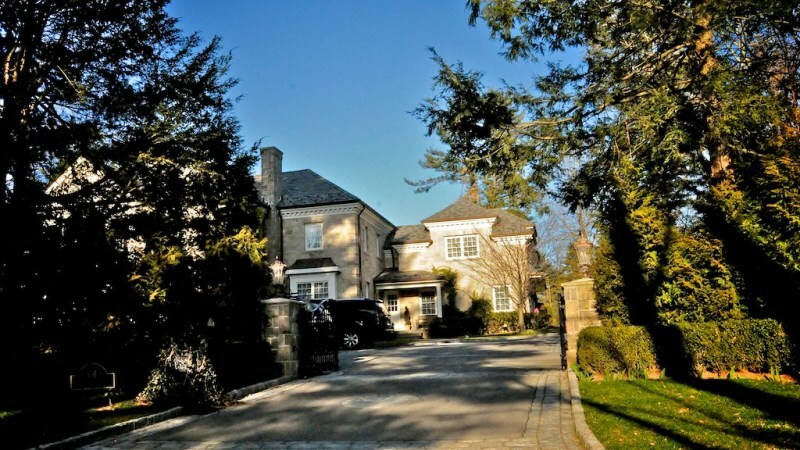 Among some of the famous residents of Scarsdale are Jay-Z and Beyonce and Scarsdale was much in the news when they brought their baby daughter, Blue Ivy Carter, home in January 2012. 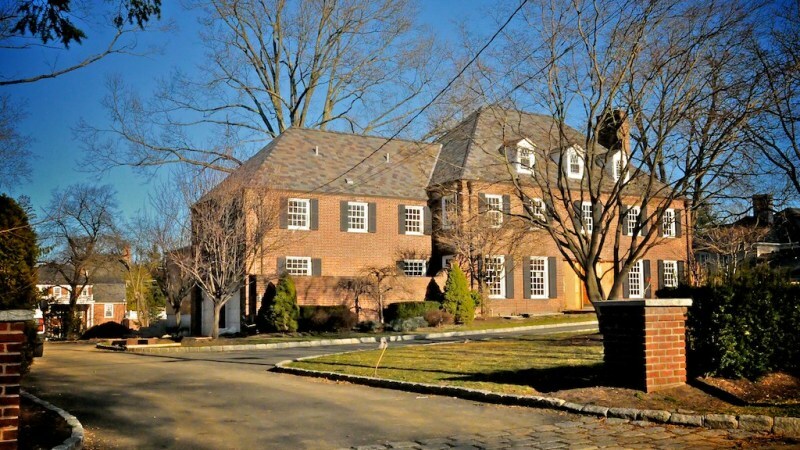 Scarsdale is an expensive neighborhood that caters to a largely affluent population. The demographics reflect a large percentage of white collar professionals, mostly white; there is minimal diversity. 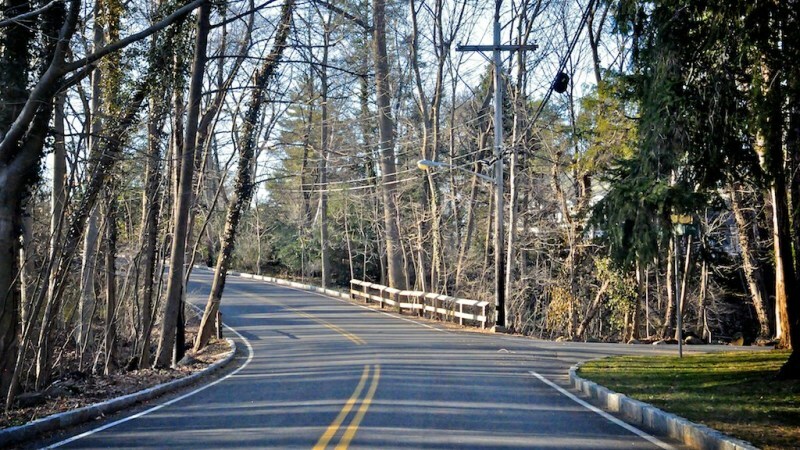 Scarsdale comprises of several neighborhoods with distinctive characteristics. 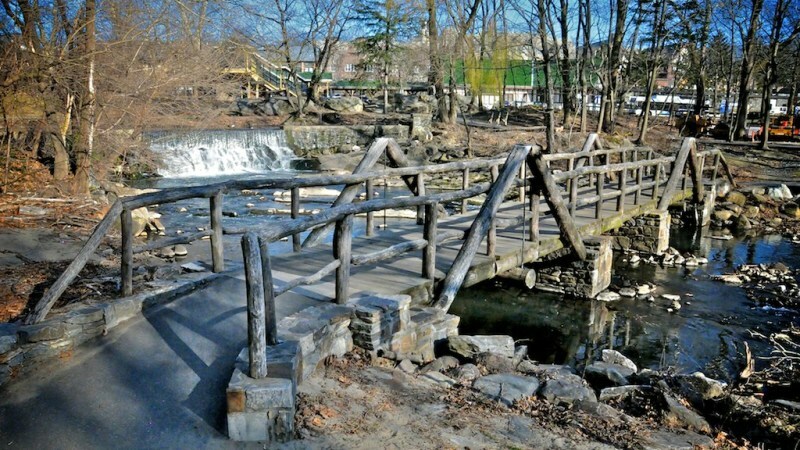 Scarsdale has a long and reputed history as the town was formed as far back as 1788. American Revolutions events that happened here are said to be the inspiration for James Fenimore Cooper’s ‘The Spy’! Much like the rest of Westchester, the big draw of this town for families is the excellent school system. There is a heavy emphasis on quality education and the number of high school graduates who go on to reputed universities is seen as a benchmark of the school system’s success. There are always stories about how stressful the children find the level of competition and pressure in Scarsdale, but parents continue to express a fair amount of pride and satisfaction in the schools. There are many nice restaurants in Scarsdale and interestingly many of them participate in the annual Hudson Valley Restaurant Week, which offers a great chance to try some of them with reasonable prefix menus rather than their usual upper-end a la carte dishes. California Pizza Kitchen, that West Coast institution, has an outpost in Scarsdale and it is very popular with lines out the door most of the time. 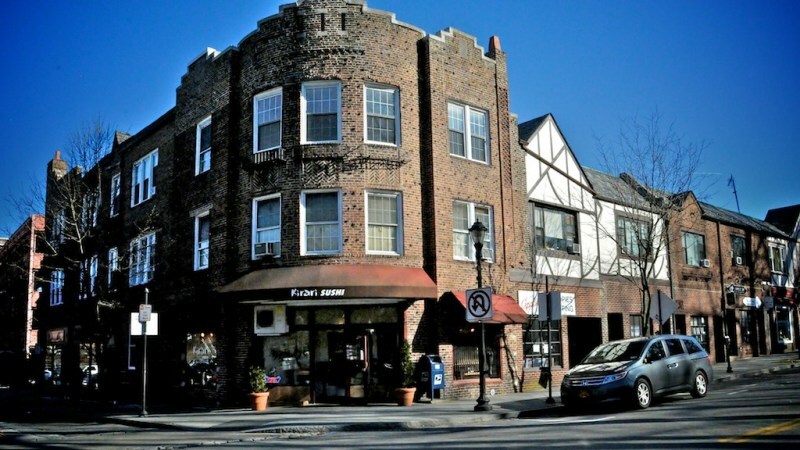 Scarsdale is also great for shopping – there are one-of-a-kind stores and well-known brands such as Estrada and Lord & Taylor. Scarsdale also has one of the few Trader Joe’s stores in the Westchester area, and I love stopping there when running other errands in the area. Be warned – parking is a challenge. Scarsdale is an inviting suburb that can be a great place to raise children, get a good education and enjoy the good life! 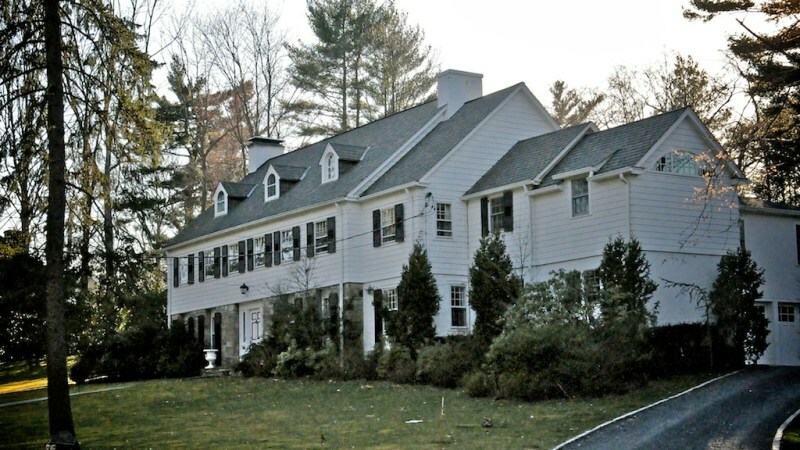 "A town with a steep price tag and excellent schools"
Settled in 1701, the 6.64 square mile town of Scarsdale is affluent to the nines and choosing to live there comes with steep home price tags and high taxes. 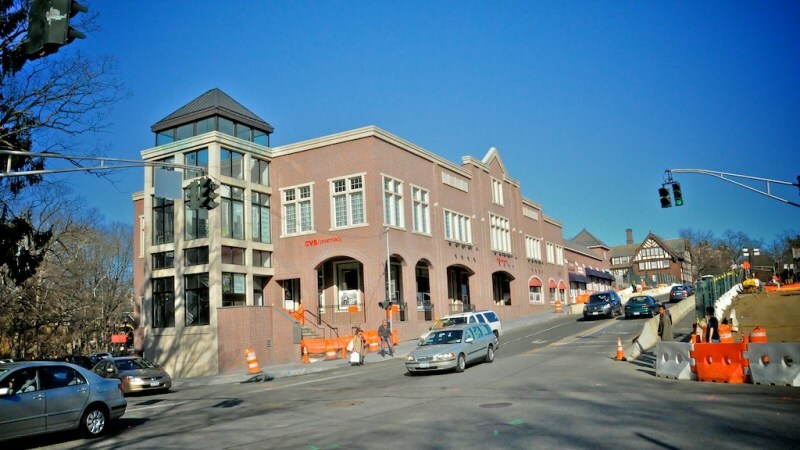 Scarsdale is comprised of five sections with the Fox Meadows and Greenacres segments being the most desirable to new residents due to their close proximity to both the Scarsdale and Hartsdale train stations where a commute to NYC takes less than forty minutes. The Heathcote area is by far the most expensive area and is known for its sweeping estates. 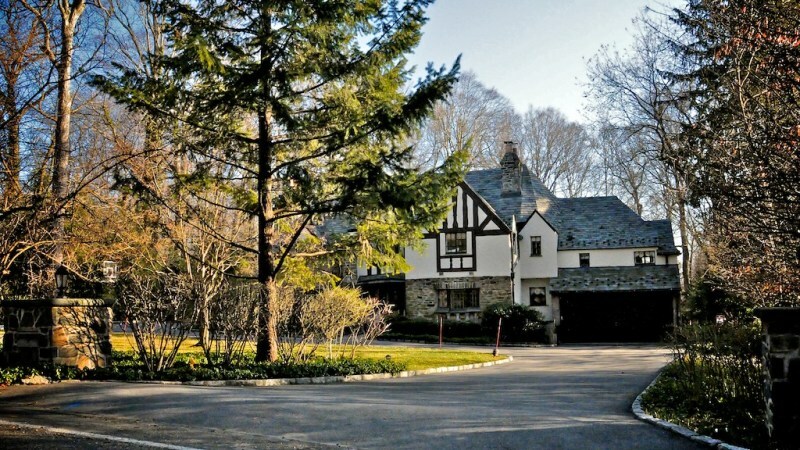 The Edgewood and Quaker Ridge areas are slightly more modest affairs, if you can call them that, as the whole of Scarsdale is abundantly wealthy and seems to have been mostly unscathed by the economic downturn in recent years. 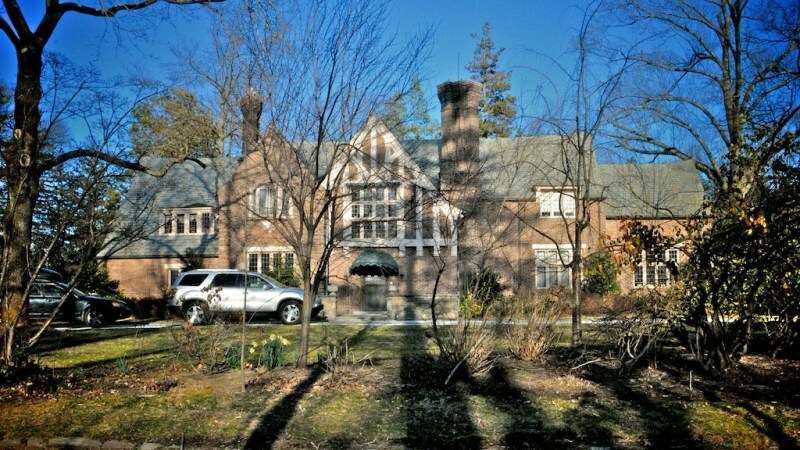 In fact, a drive through Scarsdale will reveal many home renovations and add-on's still going full steam ahead. Overall, the architecture is lovely and the homes are stately tudors and colonials. 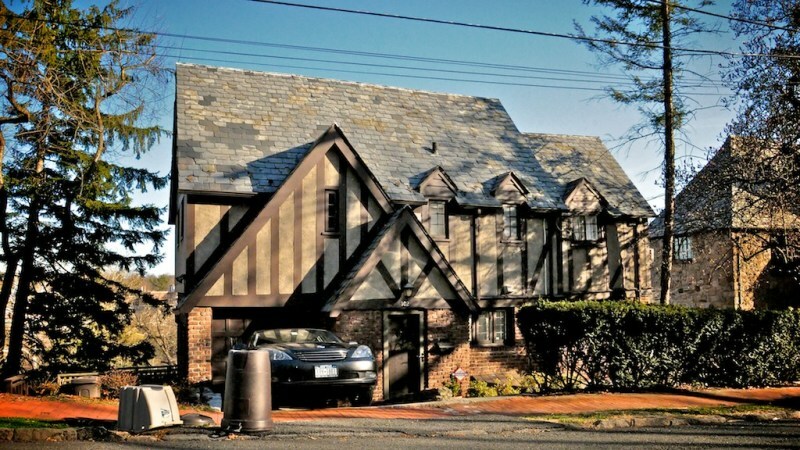 This tudor style is well exemplified in the center village of Scarsdale which has a charming feel. The historical post office on Chase Street is located there as well as the old train station with a lovely Starbucks inside of it. 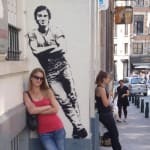 There are also a few cute toy stores, fashion boutiques, a food market, a beloved upscale wine shoppe called Zachy's, a Haagen Dazs, a Dunkin Donuts and a quaint and very green park. There are also some lovely older nearby coop buildings. A five-minute trip up and then down a winding hill that stems from the village center, will lead you to the noisy and trafficky Central Avenue strip, which runs from White Plains all the way to Yonkers. The Scarsdale zip code of this famous street has more than its fair share of shopping and culinary destinations including certainly not limited to a California Pizza Kitchen, a Pizza and Brew, a Buy Buy Baby, a Shop Rite, a Red Lobster, Staples, many banks, a Panera, a Cold Stone Creamery and a bicycle shop, to name a few. Other great foodie destinations in other areas of Scarsdale include a cake boutique named LuLu's, Meritage Restaurant, 808 Bistro, Garth Road Inn and Massa. The Weinberg Nature Center is a wonderful family-friendly afternoon excursion and has many weekly children's programs as well as vacation camps, lovely walking trails and many volunteer opportunities. Scarsdale has many lovely parks and golf courses, a swimming pool, tennis courts and quite a few popular places of worship. 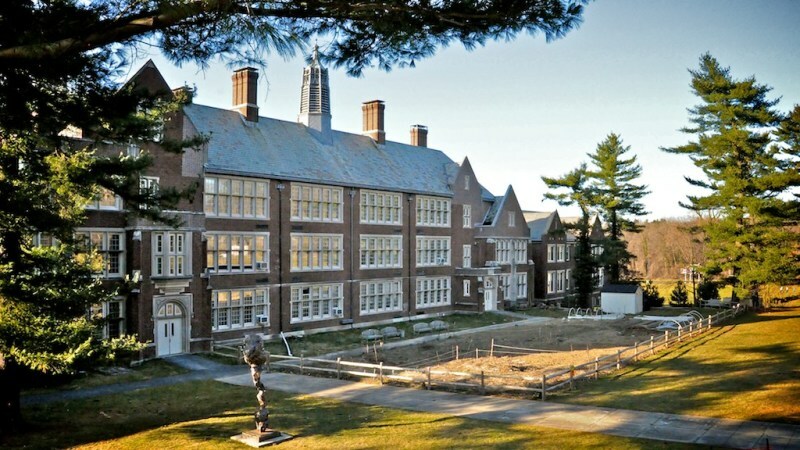 The Scarsdale Untion Free School District is considered one of the best in the nation and prides itself on promoting academic excellence and achievement. The median SAT score is 1852 and it is ported that 99% of its high school graduates go on to attend college. Scarsdale is quite safe with the crime index of 20, which is far, far below both the nation and NY State average. 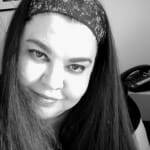 The median household income is $255, 856. The median home value is $829, 664 and the median rental rate is $2,000. Scarsdale is 80% White, 13% Asian, 4% Hispanic and 1.4 % African American. The total population is 17,166 with the median age being 41 years. 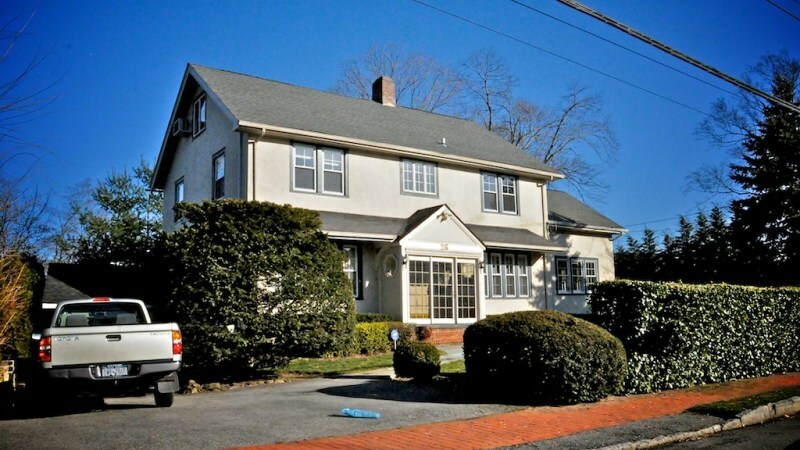 "Nice community with a great location"
The central Westchester town of Scarsdale is a fairly large community that covers a little less than seven square miles. The real estate prices and cost of living are high here, but it is great if you can afford it. There are lots of diverse housing options; in particular, there are lots of new constructions and renovated properties that were done during the last real estate boom. As a result, you'll see a lot of very nice and spacious homes here. As prices rose, the population became less diverse. The residents are mainly white collar professionals who can afford the steep costs. 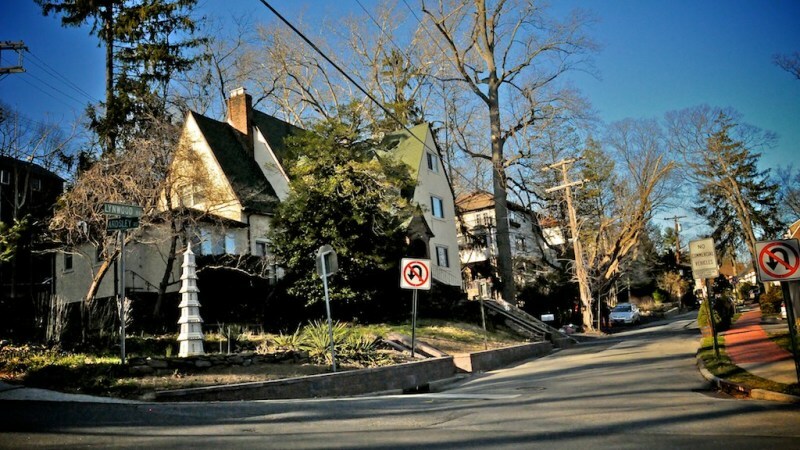 Scarsdale is broken down into five smaller neighborhoods with five elementary schools. Heathcote generally has the most expensive homes; Fox Meadow and Greenacres are the most popular neighborhoods because they are so close to the train stations. 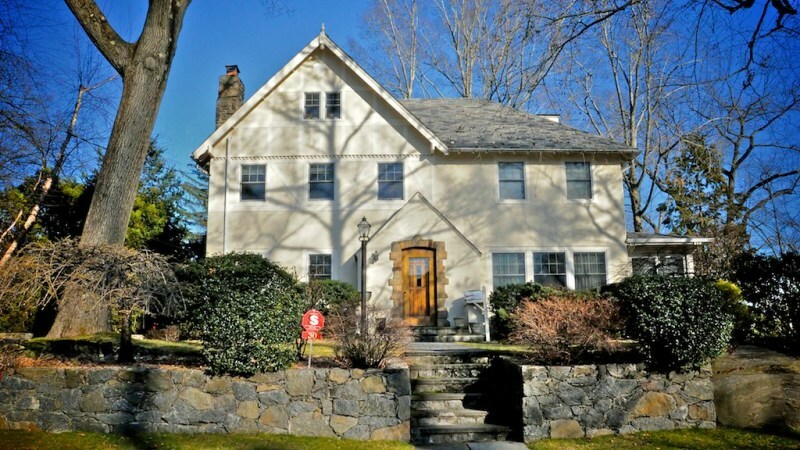 The school system in Scarsdale is one of the best in the region, which makes it a very attractive place for families with kids, but you'll have to pay for the quality of the schools - taxes are very high here. There are lots of recreational activities available for residents; in particular, there are lots of good programs for the town's kids. "A town with some great recreation"
Scarsdale has some pretty expensive real estate, the average being about one million dollars for a single family home, and I think living here involves having the paycheck to round out the lifestyle. There are four golf courses, one municipal and 3 private, so you can imagine what most people do in their spare time. I would say about half of the residents commute in to New York City. There are some really terrific schools here. With two high schools, nine elementary/middle schools and 127 colleges and universities within 30 miles there is a heavy emphasis on education. The parks are great as are the recreation programs. The community gets really involved and they even have an online account where you can register for the programs. There is a swimming pool and lots of tennis courts. You do have to pay for access to the pool but it's not astronomical. Aqua aerobics and morning adult swims are also offered for an additional fee. The Weinberg Nature Center is a great place for birthday parties. It costs about $250 for 14 children but is completely customizable. There's a cute little animal room with birds, rabbits, turtles, and a few others. The whole point is to get kids to learn and love nature. It's definitely an asset to the community.